New project again! This time though we a centering around creating characters, two of them in fact. 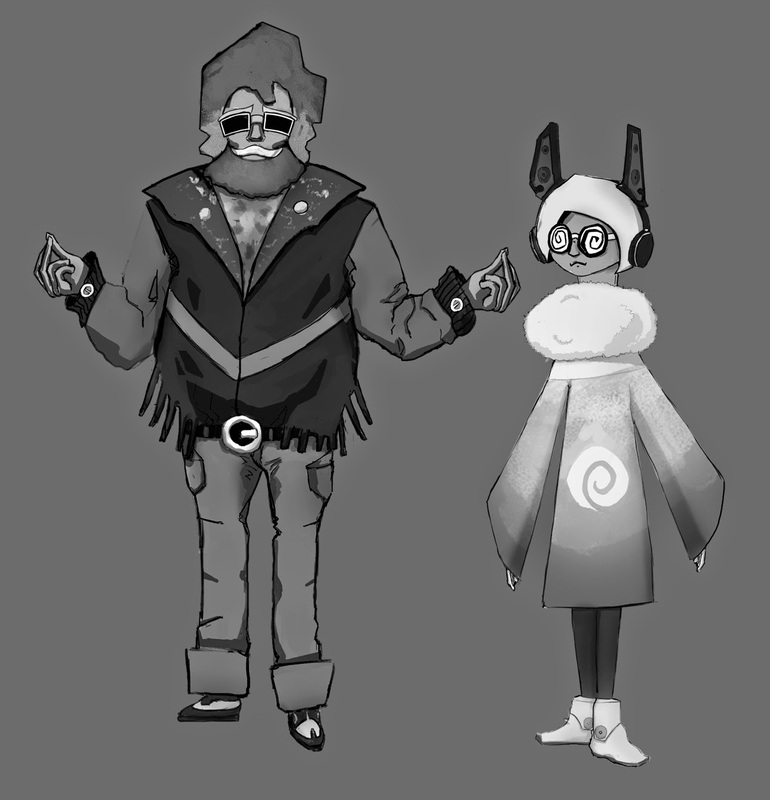 This project is titled the 'Dichotomous Duo Project' and we have been tasked to concept two characters that work as a duo but contrast in different ways using shape language, colour and values. We also have to take forward one of the designs through to a textured model within a reasonable tri budget. 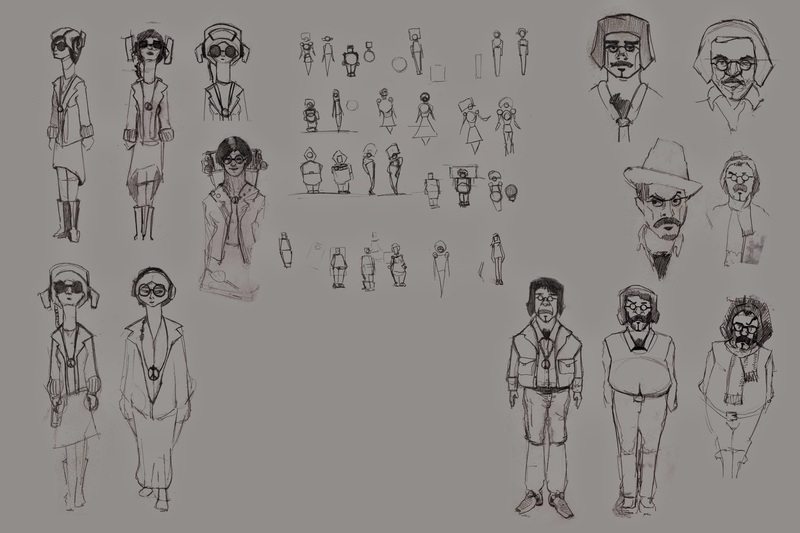 The contrast of the characters is the most important part of this project as we have to make sure that they have personality and look like they have storytelling potential, in a nutshell it's making sure they are different enough while still making them look like they belong in the same world. Some good examples are Mike and Sully from Monsters Inc, R2D2 and C3P0 and Batman and Robin. 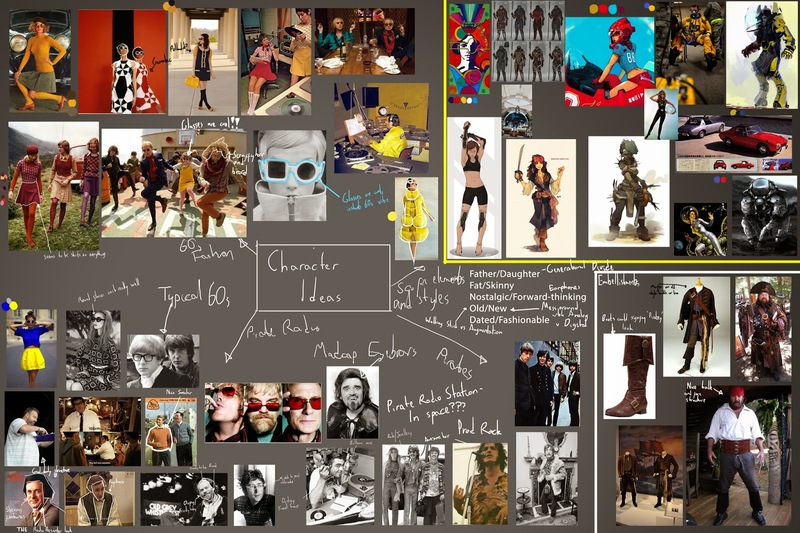 I started by looking on Pinterest and through my reference image folders to put together a load of stuff I like and see if there was anything cool that jumped out, I also looked at some fashion and a lot of designs from animated studios to see if I can find anything that's a bit different. I written down a list of opposite keywords and did some other brainstorming in the hope that I can narrow down my options of what I liked, I tried to see if I can make any connections between these different themes and cut out anything that didn't work. I ended up with 3 things I wanted to research: 60s, Pirates, and pulp science fiction. Going by a piece of advice from Mike Kelly I created a moodboard for each theme and then created a mega moodboard for everything that I used to draw connections between things and filter out even more of the clutter until I got a more refined idea. 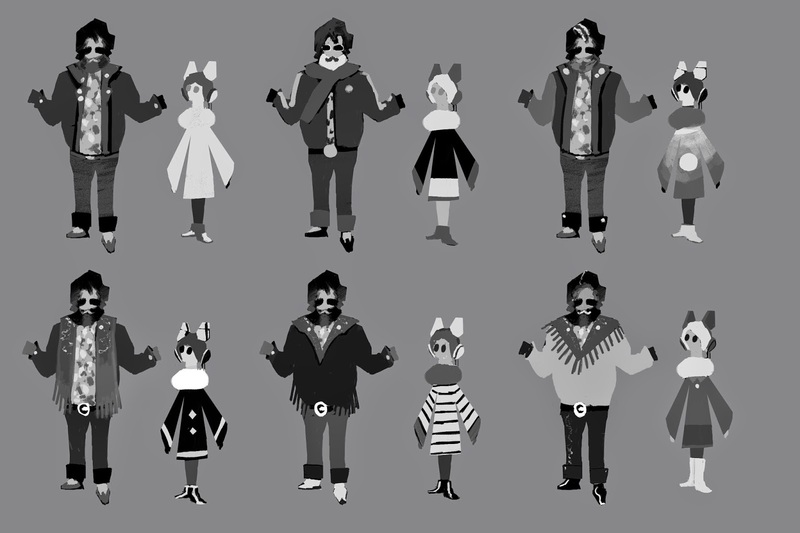 Eventually the idea taken shape as doing 60s era 'Pirate Radio' characters that could be radio presenters, with the sci fi element as a possible backdrop. What would it be like if a duo of 60s radio presenters were broadcasting tunes down to earth from a rogue orbiting satellite? How could I make it work? 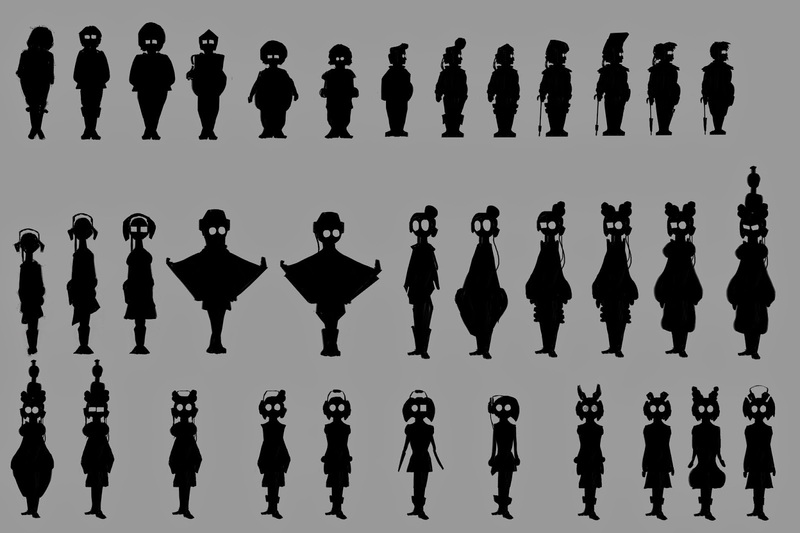 I began by just doing some loose sketches and some shape exploration, I did a load of thumbnails aswell and tried using the shapes and size to help come up with a duo of silhouettes that work well together. Next I tried to develop the thumbnails using the sketches as a basis for the details, I realised this approach didn't quite work though as I lost a lot of the original energy which was in the thumbnails. So I created value buildups instead so I could rely on the separation of values to create details. Value buildup from thumbnails, this helped create details while still keeping the energy of the thumbnails. From these I created a basic line drawing with using the supporting sketches and reference to improve the design. I then did some basic colour dropping on my design with some value adjustments to fix it, I then picked a colour scheme from these. Next up, my response to feedback, and reflecting on my designs. :) Oh and maybe some 3d.